Biologists have discovered a gene that may keep naked mole rats cancer-free, a finding they hope can have implications with humans. Although loyal readers of Today in Mice already knew about the naked mole rat&apos;s unique home life and abundance of the "love" hormone, scientists have discovered that the rodents possess another attribute worthy of bragging rights (besides their good looks, of course): They are the only known cancerless animals. The naked mole rat, which looks like a hairless mouse, has been known to live up to 30 years — more than enough time to develop cancer. But in spite of the study of large numbers of the strange-looking creatures, there has never been a documented case of cancer in a mole rat. Cancer is a result of runaway cell reproduction. 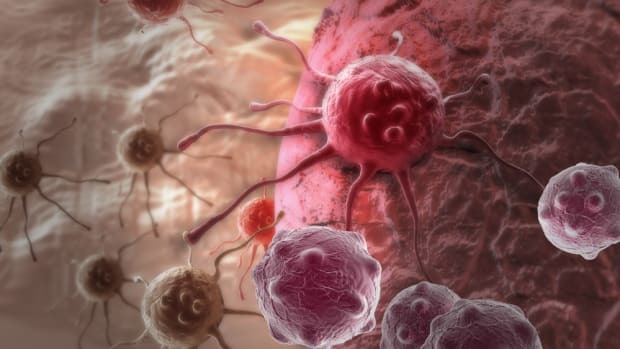 While many animals, humans included, possess a gene (called p27) that generally prevents the overdevelopment of cells, cancer cells have a way of sneaking past this line of defense. University of Rochester biology professors Vera Gorbunova and Andrei Seluanov suggest in their findings, published in Proceedings of the National Academy of Sciences, that the reason for the mole rat&apos;s immunity to cancer may be its front lines, so to speak. The mole rat&apos;s cells express a gene (called p16) that prevents the overcrowding of cells and cuts off rapid growth before it is under way. The gene acts as an early defense, working with p27 to create a two-tiered system that regulates cellular growth and thereby prevents cancer. Gorbunova and Seluanov have spent the last three years studying rodents from around the world in an attempt to understand how different but closely related species deal with cancer. Gorbuna&apos;s 2006 discovery that telomerase (an enzyme that helps cells reproduce, which can both lengthen the lives of cells but also increase the rate of cancer) is highly active in small rodents, but not in large ones, led her to another question: Why isn&apos;t cancer rampant in small animals with longer life spans? As Today in Mice quoted her in the past: "Squirrels know a cure for cancer," but humans were still scratching their heads. In 2008, Gorbuna confirmed that these animals had evolved a cancer-fighting mechanism that appears to be unlike any present in humans or other large mammals. At the time, she was unsure what exactly it was, but she now believes that the expression of the kind of claustrophobic early-warning gene present in the naked mole rat may be the primary reason for the absence of cancer in long-lived small rodents. While Gorbuna and Seluanov are hesitant to speculate about the implications of their study, in a university release they did hypothesize, "If the effect of p16 can be simulated in humans, we might have a way to halt cancer before it starts." As they continue their studies of the mole rat&apos;s genetics, I hope that naked mole rats everywhere enjoy their long, tumor-free lives ... and save some sunscreen for the rest of us. Biologists have been working for decades on cancer research—and they’re making progress. But to really stand a chance against this aggressive disease, we should focus on more interdisciplinary collaboration. New Therapy Makes An Old Immune System Young Again. Researchers have found a protein that may be the immune system's fountain of youth.